It was a regular Monday morning for young DJ, a humble man who lives in his mother’s basement. He was shopping at his local Giant Eagle before classes when tragedy struck. A man described as “lumbering” and “had an unkempt beard down his neck” violently assaulted DJ in front of the bakery. Video shows DJ clinging on for his life to a baguette, however no amount of wheat could defend him from the beat-red faced assailant. Authorities arrived on the scene and tasered the assailant, identified as 28 year old Christopher Green. When asked “why” he brutally beat the man, Green cited a tweet that his victim made on social media previously. 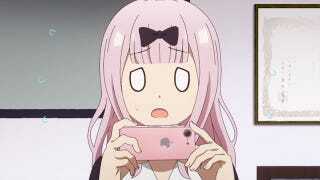 A popular airing Japanese cartoon named “Kaguya” was available online this year- a cartoon about a pink haired girl that droves of grown, adult men are eager to tweet about. Our social media office looked like that part in Sicario where they found what was behind the drywall. Yeah, you know the one. This put Christopher Green into a frenzy as he tracked the IP address back to sender and proceeded to stalk the man for two weeks, his parents tell ABC News. Green’s Facebook page, now taken down by his parents, showed several suggestive videos involving a pink haired girl and comments from Green such as “my wife” and “yas queen”. Green is set to appear in court April 15th.